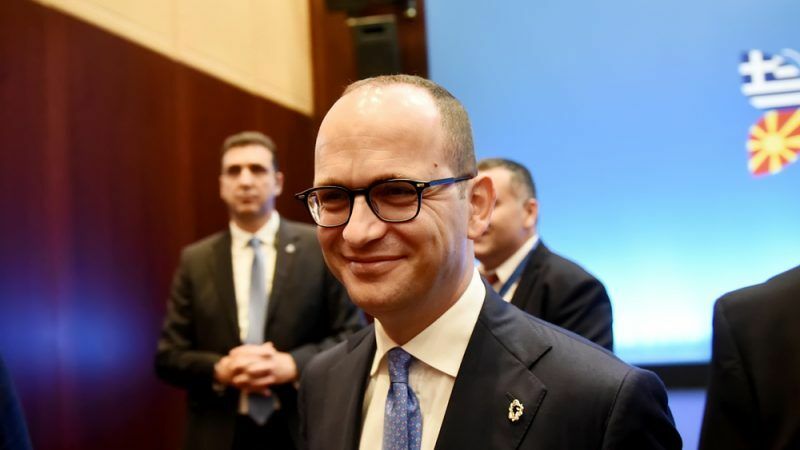 The promise of future integration in the European Union helped many states on their journey to full democracy, writes Ditmir Bushati. Ditmir Bushati is the Minister for Europe and Foreign Affairs of Albania. On 10 July, the British government will host the Western Balkans Summit in London – the culmination of a critical few months in the relationship between the EU and our region. It comes immediately after the unanimous agreement of EU member states to set June 2019 as the opening date of EU accession negotiations for Albania and Macedonia – a historic decision, and the right one for both the EU and the Western Balkans. Successive waves of EU enlargement over the last 45 years have brought greater stability, encouraged economic growth, and delivered peace and reconciliation between old enemies. The promise of future integration helped many states on their journey to full democracy. It encouraged their implementation of modernisation and reform programs and showed the benefits of embracing shared Western values. Albania is proud to be on this path. It is fitting that the enlargement date for the Western Balkans was agreed under Bulgaria’s successful EU Presidency – a fellow Balkan country and the first to take on the crucial six-month role. We are also looking forward to working with the incoming Austrian EU Presidency – Vienna has long been a close friend and partner for the Western Balkans. We know well that Albania is not ready to join the EU tomorrow. We have lots of work to do first. But we will be ready to take our position at the starting blocks for the beginning of the accession process next June. We know and we agree with our European partners that we must continue our reform program strengthening the rule of law and tackling the corrosive issues of corruption and organised crime. The Albanian government has already made substantial progress in reforming our public administration, the institutional restructuring of the judiciary as part of our broader justice reform plan, fighting corruption and organised crime, improving human rights and strengthening cooperation with international law enforcement. The decision of the EU Member States on 26 June recognized these endeavors. Our government is not pursuing reforms because the European Union requires it. We are undertaking these sweeping changes to our system because our people deserve better. Albanians deserve to live in a fairer society, a more just and stable country, where corruption no longer weakens our economy and undermines our democracy. Ordinary Albanians must be the ones to benefit from our reform program and we cannot afford to fail them. The EU’s decision to open negotiations next year is a recognition of years of effort, and validation of the long-held hopes of many Albanians for a future at the heart of Europe. It gives our reform efforts encouragement and energy and demonstrates the recognition and importance of a European future for the wider region. Our cooperation on security and defence matters and our near decade membership of NATO demonstrates Albania’s commitment to positive partnership, common principles and shared values with our European neighbours. Leaders calling for European reform now have a window of opportunity with this round of enlargement to push for changes which benefit ordinary citizens across the continent and make the EU work for all. Reformist forces within the EU may use the accession process of Albania and Macedonia as an opportunity to boost all Europeanists in our countries and in the continent and strengthen the European project for decades to come. At the same time, a stronger Europe can be thus only with a stronger, fairer, stable and more democratic Western Balkans as an organic part of it. Britain’s hosting of next week’s meeting shows that even for those who are leaving the European Union, stability to the southeast is crucial. The London summit is a moment when we can reaffirm our commitment to improved security, economic and political co-operation, in the context of the EU accession process; this is fundamental to our transformation. We are on the right path towards a fairer and healthier democracy in Albania. It is a long path that stretches before us but the Albanian people rightly expect us to deliver. We cannot afford to fail them and with the continued support of our European partners, we will succeed. Western Balkan countries may be ready to become EU member states within next 50 years due to their lack of democracy, economical development and rule of the law. French president Macron noticed it very well when he said that first EU must resolve its own problems and just then start to work on enlargement of EU. EU should never accept as member states muslim countries such as Albania and Kosovo because muslim values and way of life are not joinable with christian values and way of life. Europe has not contributed to peace on the Balkans. On the contrary, with each new expansion it is creating new borders and setting countries up for new conflicts. Let’s not forget that the the Yugoslav conflict started when the EU seduced Slovenia and Croatia to secede with the promise of an EU membership. Just consider: would this minister really be happy when an Albanian EU membership caused a hard border between it and Kosovo? Let’s not forget that that is a blatant lie.